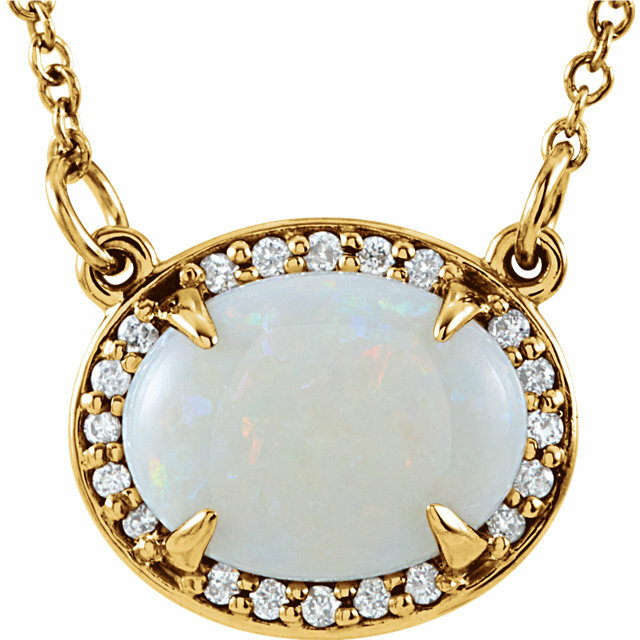 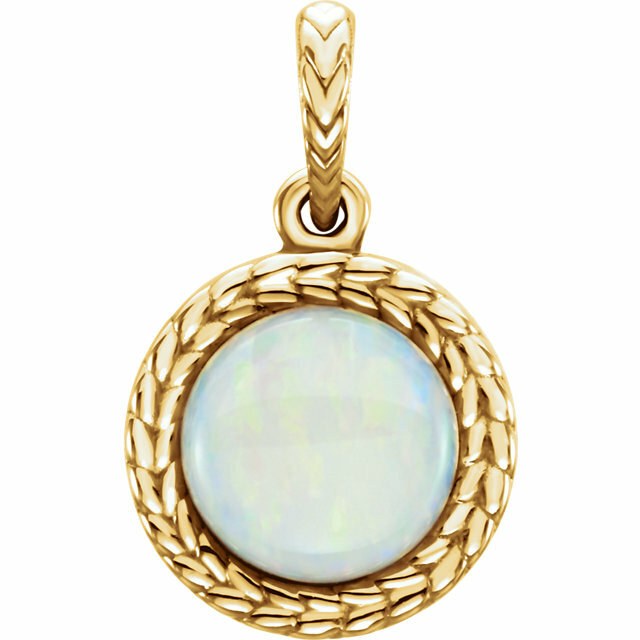 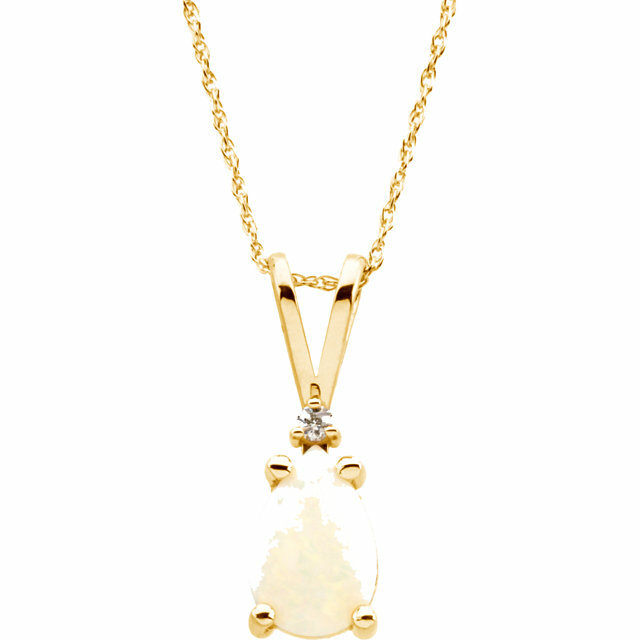 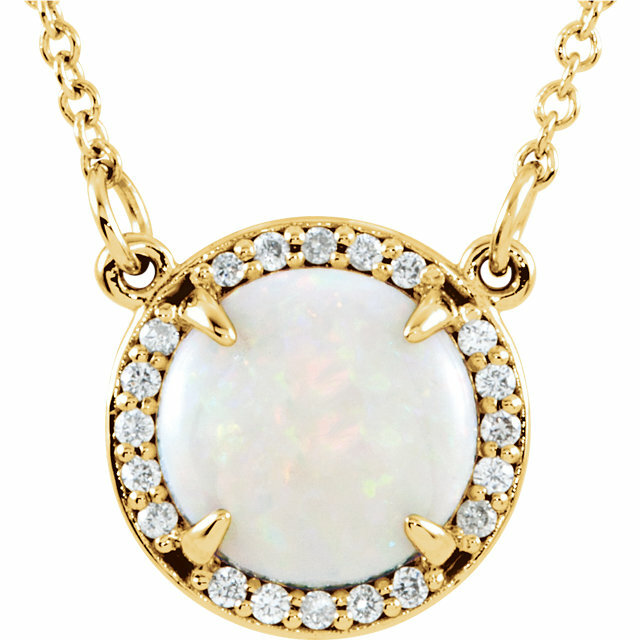 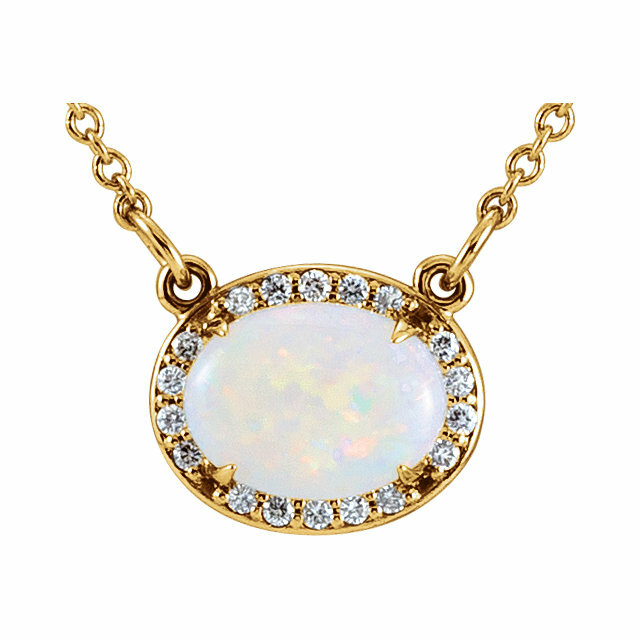 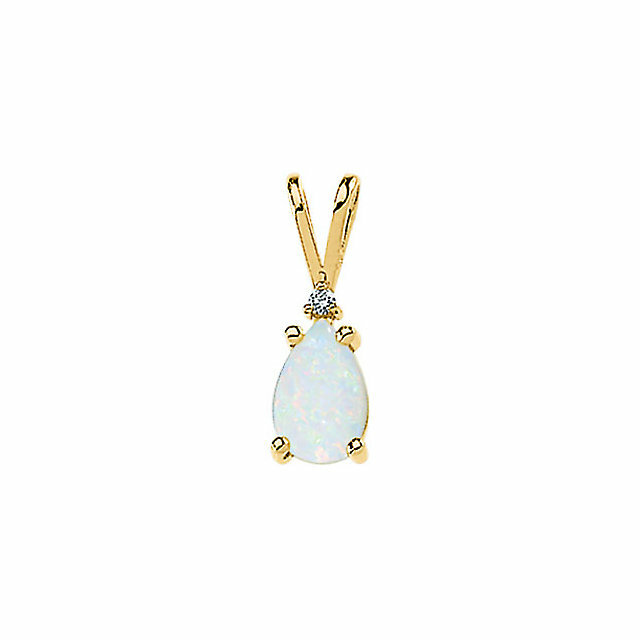 Genuine 1.1ct 9x7mm Australian White Opal Gemstone Halo Pendant in 14k Gold - .05ct Diamond Accents - FREE Chain A Lovely Grade A Genuine Australian White Opal Gemstone, Oval Cut Sized 9.00 x 7.00 mm, is Framed by 20 Diamonds in This Incredible 14k Gold Pendant. 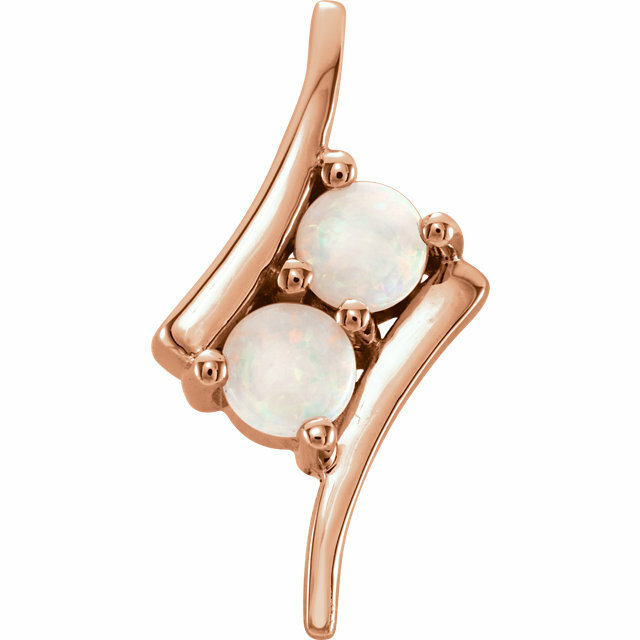 Choose 14k White or Yellow Gold. 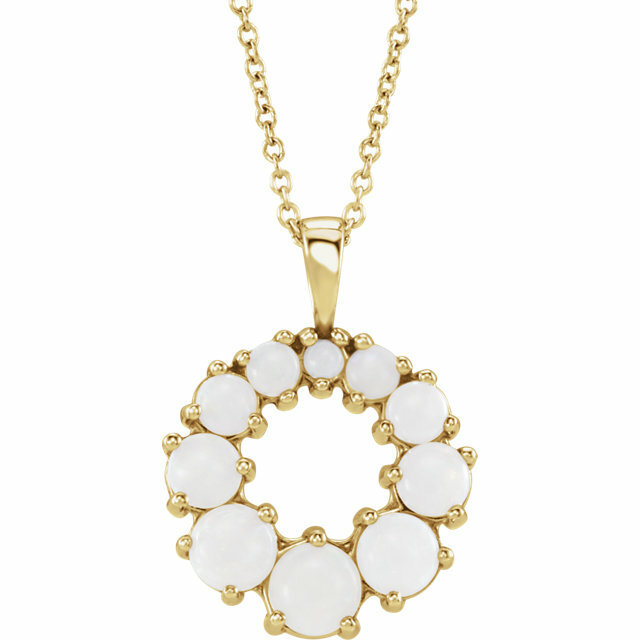 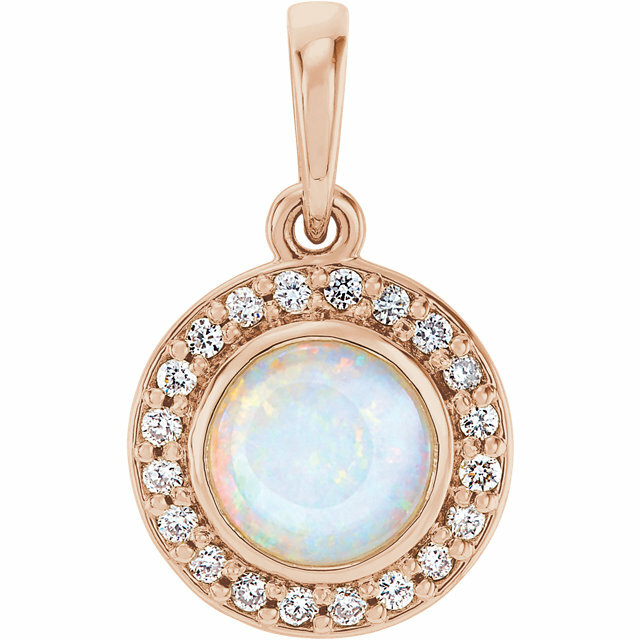 There is something unmistakably stunning about our Oval Pendants. Perhaps the yellow gold and the light in the Opal dance harmoniously with one another, creating a beautiful medley of shimmer and shine. 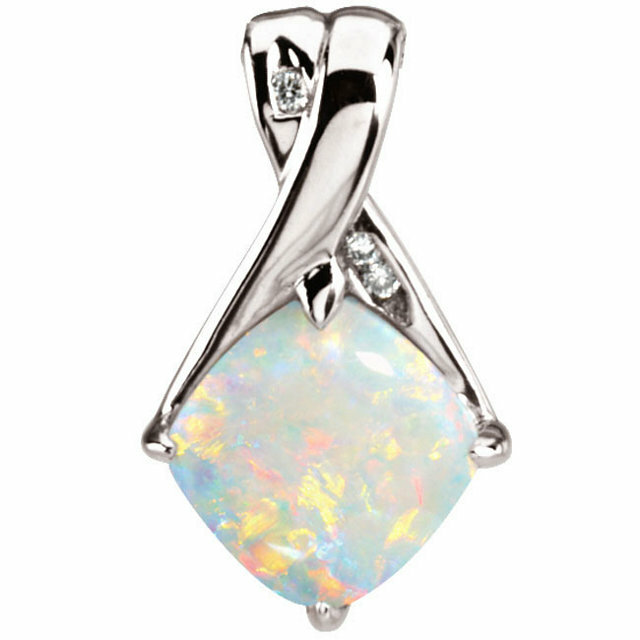 Or maybe the glossy white gold, reflecting the fiery rainbow of color in the Opal accentuates the splendor of this gorgeous gem. 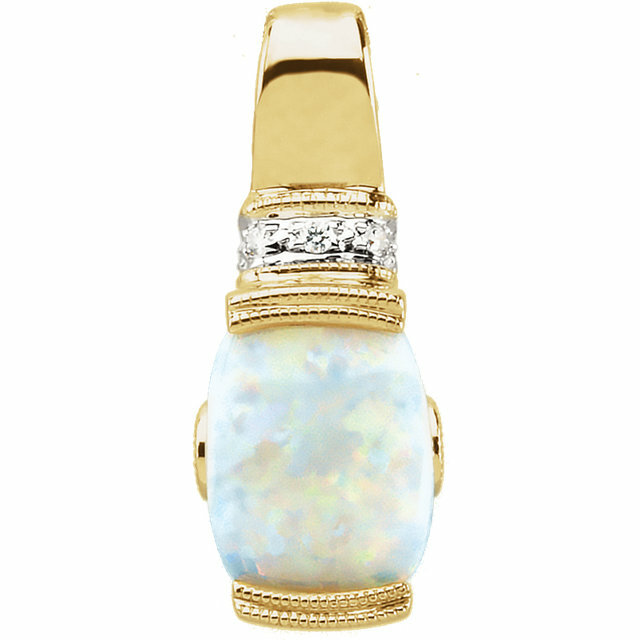 Or, possibly, it�s the brilliance of the diamonds that bring out the full beauty of the Opal. 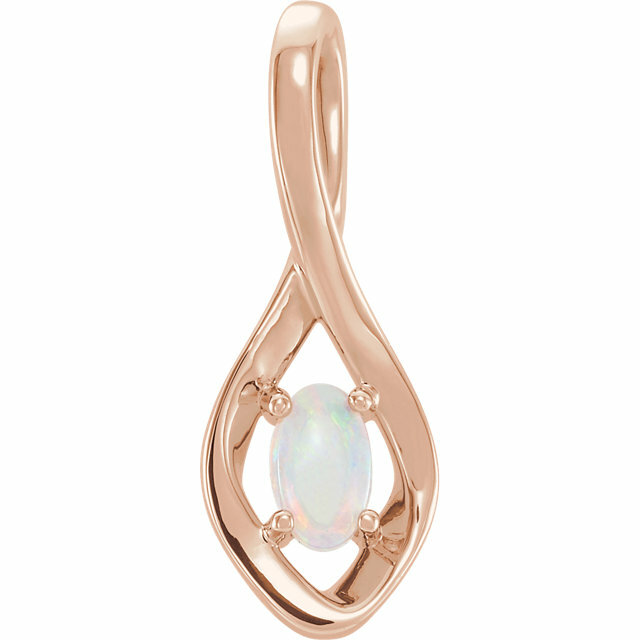 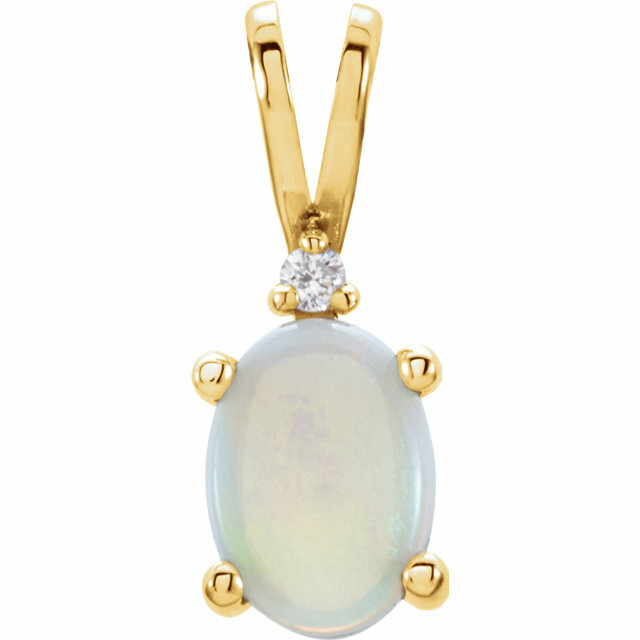 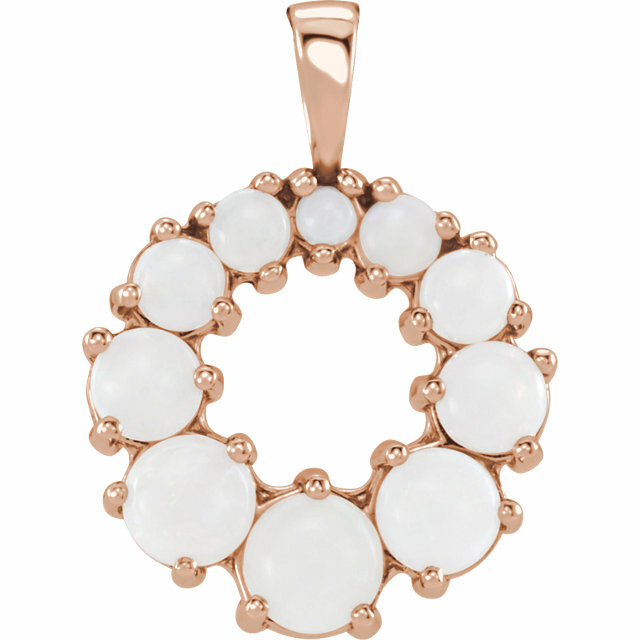 Whatever it is, that je no sais qua�the intangible, indescribable magnificence found in an Opal pendant�we can all agree that these amazing pendants are a must-have. 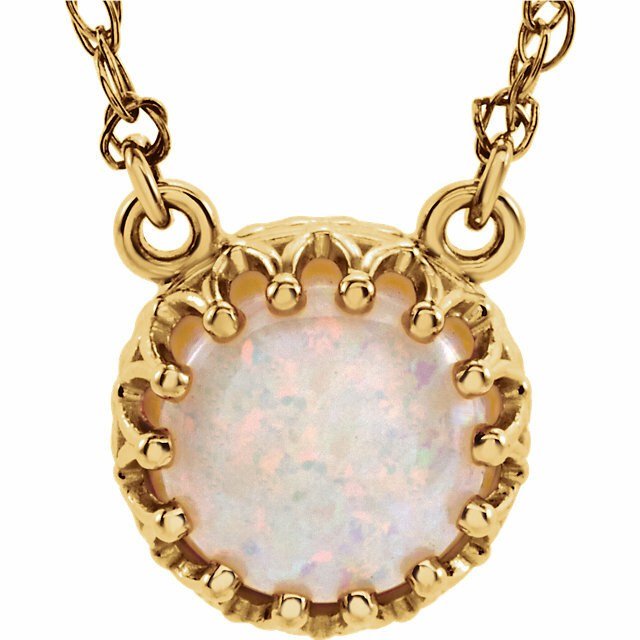 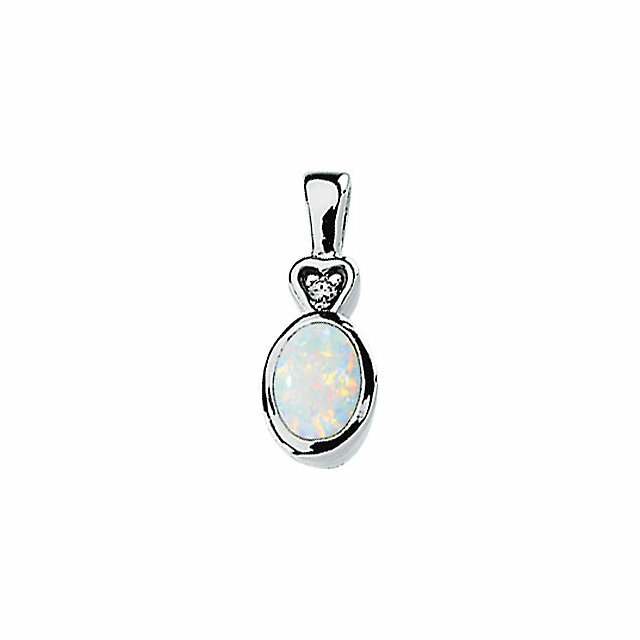 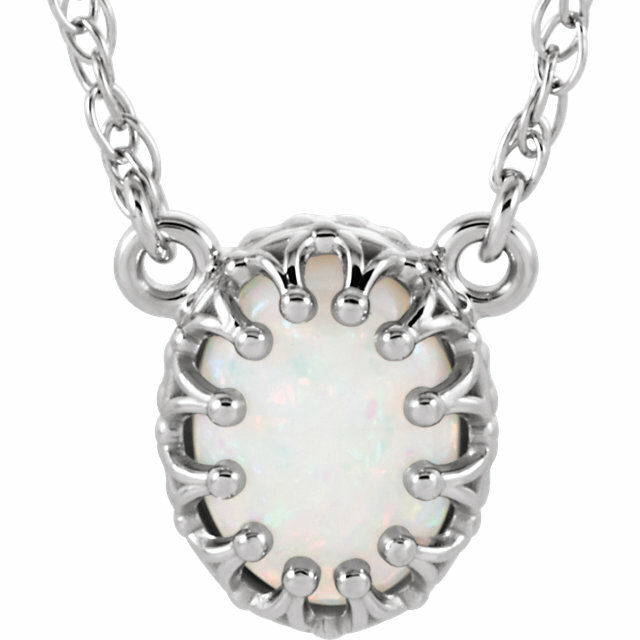 Go for the untraditional Opal pendant and choose a Mexican Fire Opal. 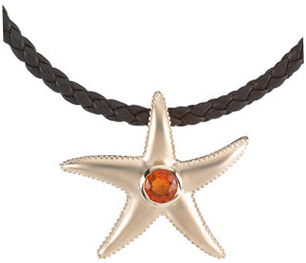 Brilliant orange, shot through with bolts of flaming red or electrifying yellow. Fire Opal boasts bold, intense, juicy color�strengthened by the sparkle of a richly faceted surface and smoldering with interior fire. 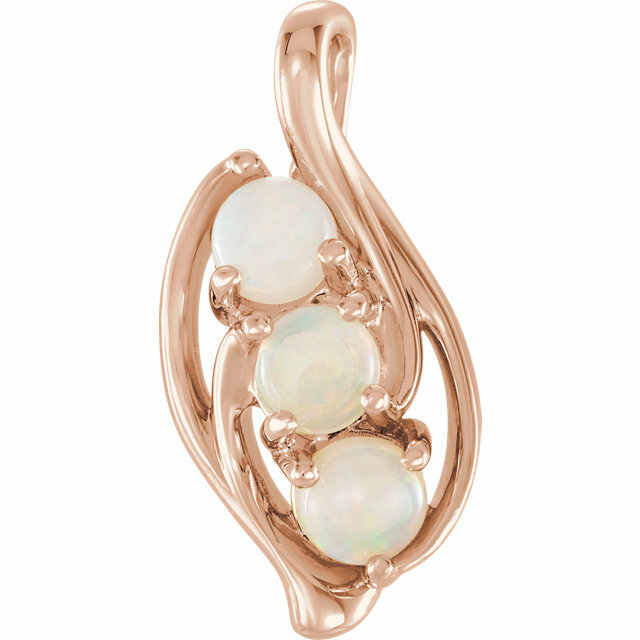 These are definitely not your grandmother�s opals. 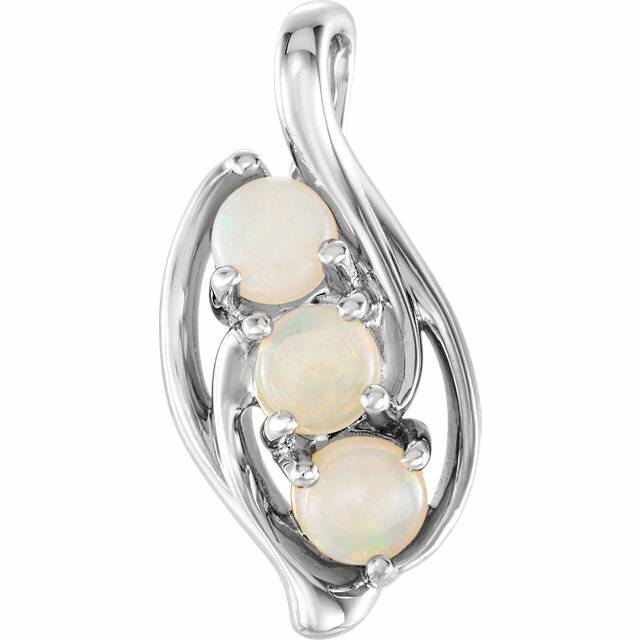 Bursting with life and vitality, Mexican Fire Opal is a riot of dazzling color. 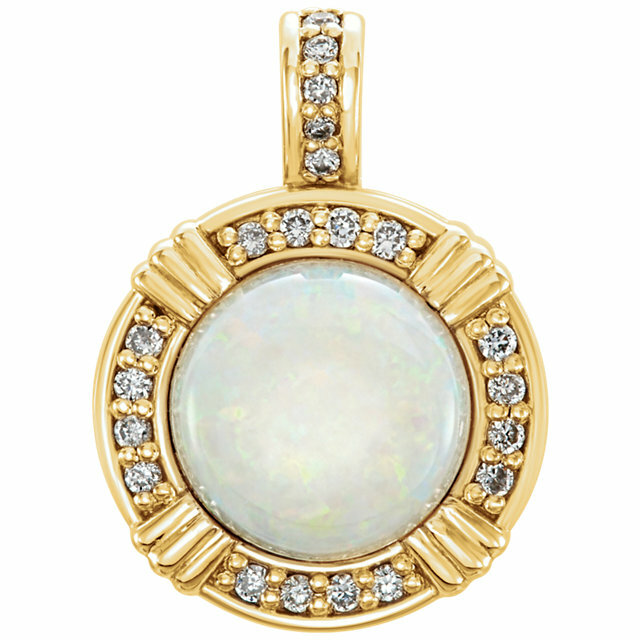 One of the most vibrant gems of our time, it brings a life to jewelry that demands attention. 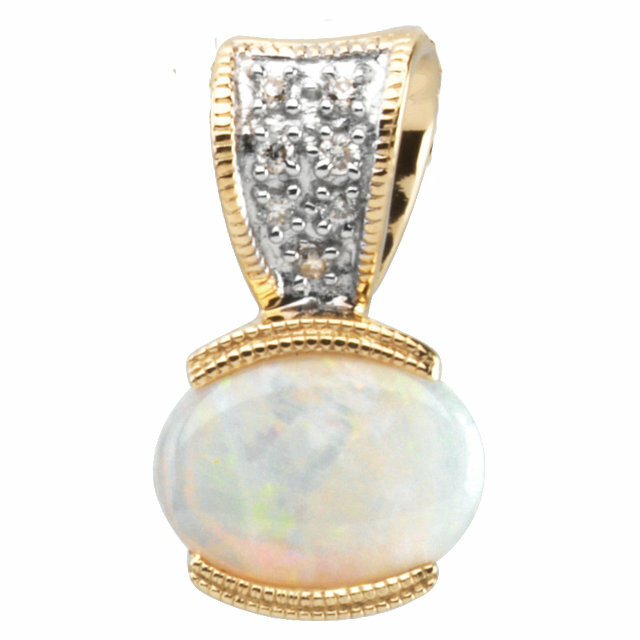 Its blazing orange color, one of the boldest of nature�s hues, communicates security and success as well as health and vitality. 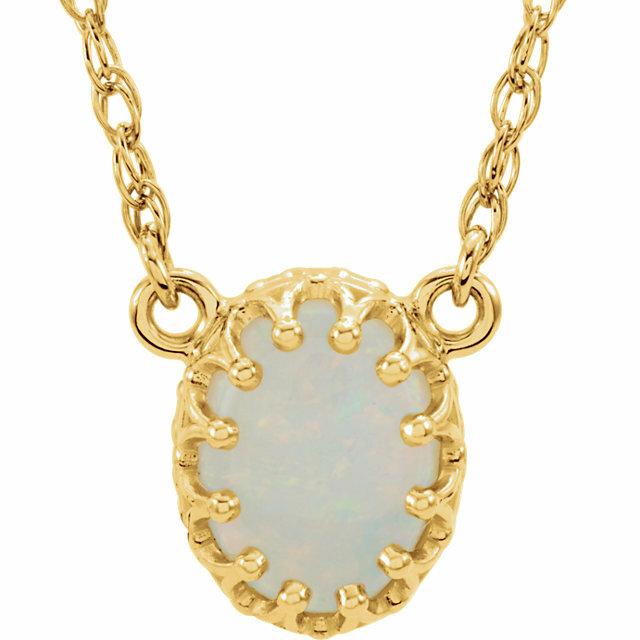 Whether you prefer the more traditional setting of white gold and diamonds, or the more unique yellow gold starfish pendant, a Mexican Fire Opal will surely add color, drama and beauty to your style. All of our superb Opal Pendants come with a free chain and will be shipped out the same day you place the order. 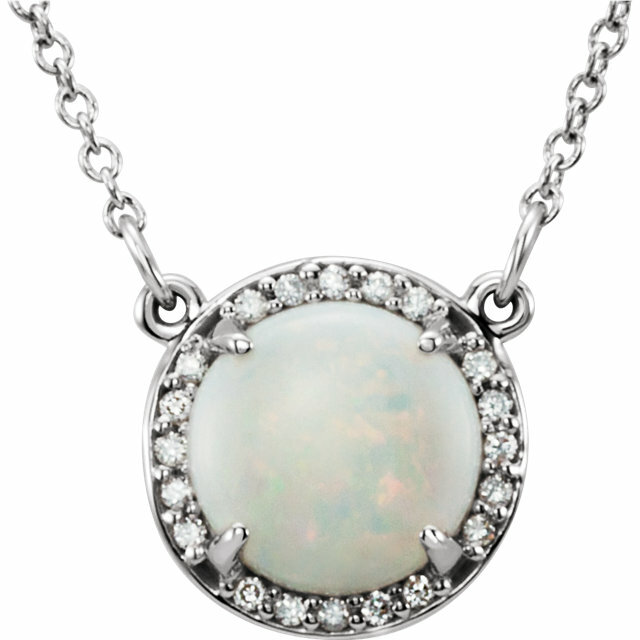 Not to mention the incredibly discounted price that makes our Opal jewelry especially affordable. 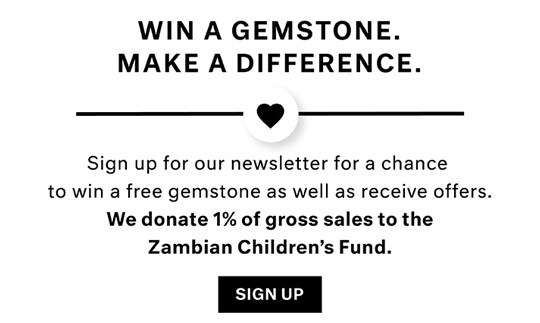 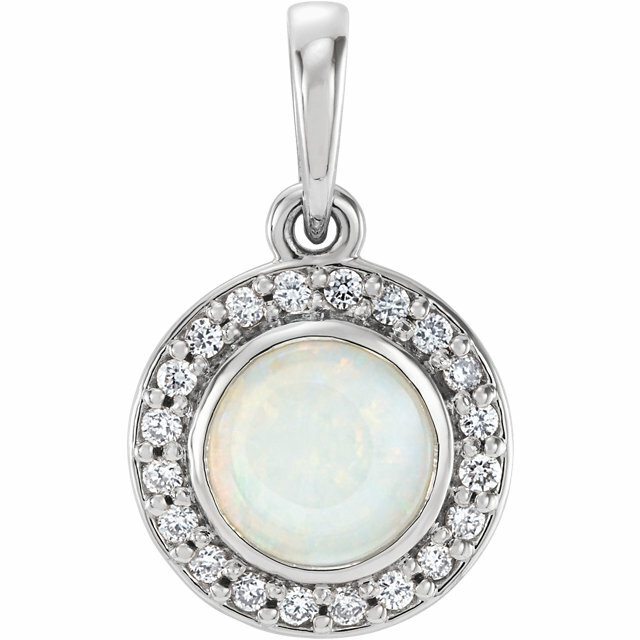 Pick out your favorite Opal pendant today, whether for a gift or to treat yourself, and you�ll enjoy a fine piece of jewelry for years to come.